Set amidst the rolling hills of Umbria, somewhere between Florence and Rome, is a place where the past meets the future in a celebration of today. Between imperious country houses, lush poolside and evergreen grassland, La Casella looks and feels like the real deal. A spot nestled in time and space – four-to-the-floor and cosmic, by the way – that has provided more than a moment of respite for rebels, kings, countrymen and travellers for centuries at least. The La Casella countryhouse and resort is amongst an upshoot of special locations around the world that are enhancing their natural biodiversity, uncontaminated water and verdant beauty by embracing new initiatives like renewable energy and ecotourism. This is where the past meets the future. And for one long weekend at the beginning of September, 350 or so lucky revellers will descend into the Ficullian valleys for a celebration of top-quality balearic and house music with veritable names such as Daniele Baldelli, Phil Mison, Nick the Record and Leo Mas at the helm. From the progenitor of afro-cosmic in the 70s to the pioneer of legendary balearic spots like Café del Mar, veterans of illegal raves and acid house trenches and globe-trotting crate diggers, the team behind the first ever La Casella Festival have put together an incredibly special lineup in an equally stunning location. Daytime sessions by the pool from the likes of Grace Sands, Mikey Sibson, Dave Rose and Matt Timms will segue into al fresco dinner on long, red wine ridden tables – al Italia – courtesy of local artisans and food suppliers. When evening falls upon the valley, attendees will gather at all-night house parties in secret locations around the site, with names like Andy Blake, Don Carlos and David Easy taking revellers through the night, alongside extended sessions from Nick the Record, Phil Mison and Leo Mas, among others. La Casella is a completely unique experience, offering a chance to rejuvenate body, spirit and mind alongside some of the finest selectors in the house and balearic canon. For this pilot year, the organisers have opted to curate a more intimate affair with a limited number of performers and attendees, and the festival hopes to expand next year whilst keeping the magical ‘isolated’ feel intact. 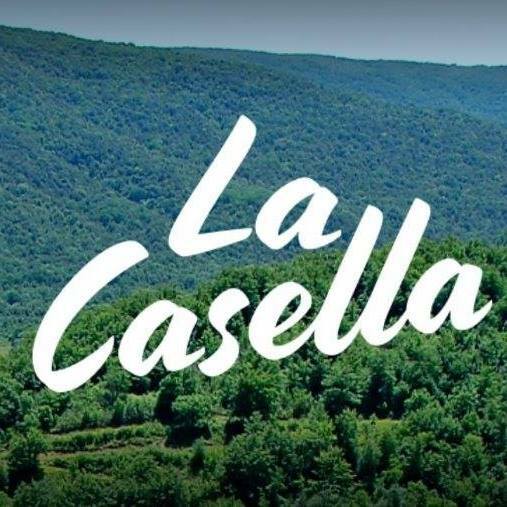 In any case, La Casella’s first year looks to be a very special weekend for anybody interested in the finer aspects of sunrise, sunset, quality food and top-notch electronic music. While rooms in the country house have now sold out, The Pop-Up Hotel are offering boutique teepee-style tents for up to four people on the site grounds. These pre-erected lodges include breakfast and showers, and offer a sort of sanctuary-inside-a-sanctuary for when you need to pull yourself away from the all-night madness. Day passes start at a more than reasonable 25,00€, with a full weekend pass clocking in at 55,00€. If you can’t manage the accommodation, feel free to bring your own tent and pitch up somewhere under the stars. It’s all part of the magic. Here’s an exclusive 45turns mix from Mikey Sibson, who will be heading up the poolside slot on Friday 7th Sep, 2.30 – 4.00pm. La Casella Festival will take place on the 7-9 September at Strada La Casella, Ficulle, Umbria. For more information including tickets, directions, lineup and set timings please visit La Casella Festivals website, and check out the event on Facebook.